GOOD MORNING my creative friends & welcome to our last day of our August Sneaky Peeks! Wow, I had such an AWESOME time w/this new release & I hope ALL of YOU enjoy it as much as we did! ;) Okay, let's get right to it! Today we are showcasing 2 items! 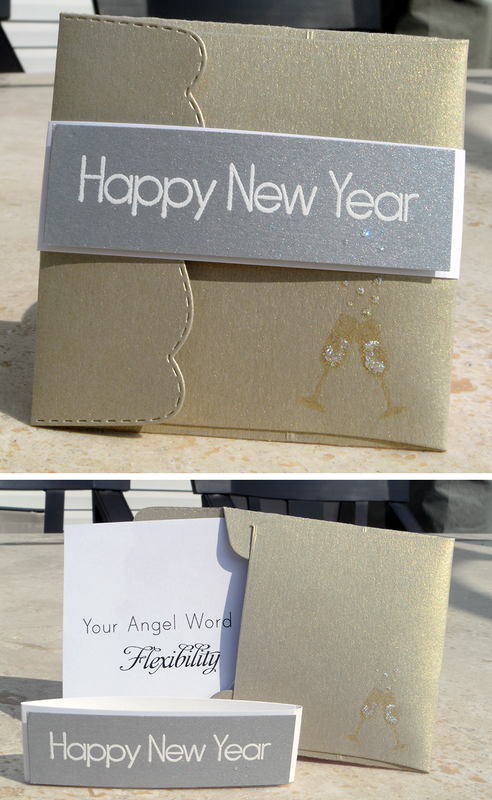 The first is a "3x3 Fancy Envelope Die" and the 2nd is "Card Sentiments" which comes w/a coordinating 3x3 Trifold Die! These dies are SOOO MUCH fun to play with & I can't wait to show you LOTS of different projects you can make w/these 2 sets! 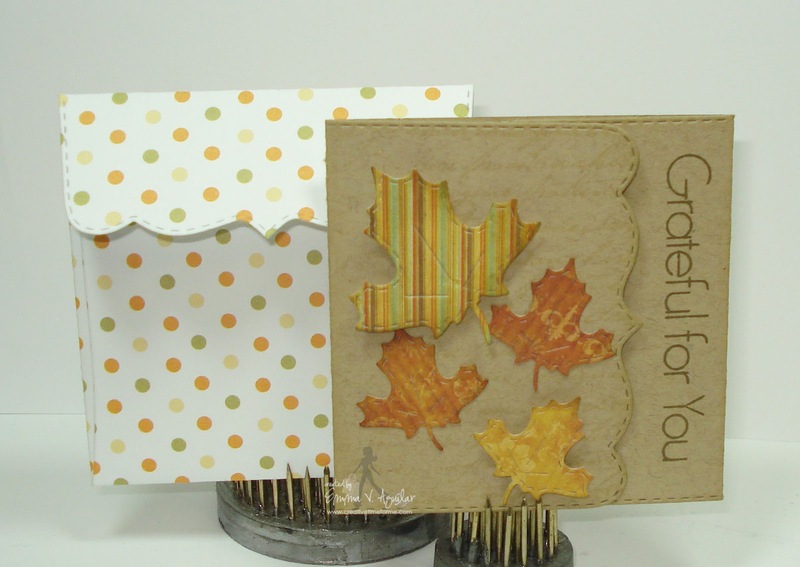 ;) For my 1st card at the top, I used my leftover Stampin up pattern paper along w/my "Flower Petal Dies"! The "Just For You" sentiment is one of the sentiment in this set! For my card below, I used the leave dies that goes w/"Piles of Smile"! The "Grateful for You" is also a part of this set! For my envelope here, I used polka dot paper from Papertrey Ink! 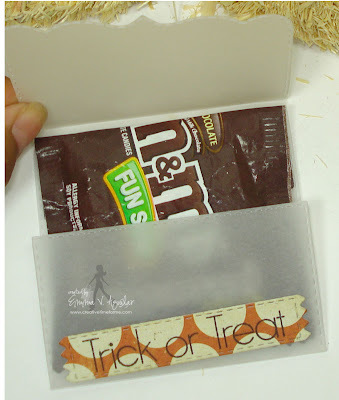 For my next CUTE project below, I wanted to show you how you can make the Trifold card into the sweetest little treat! Isn't this ADORBS?? I cut out the card using Vellum (which I found at Walmart)! 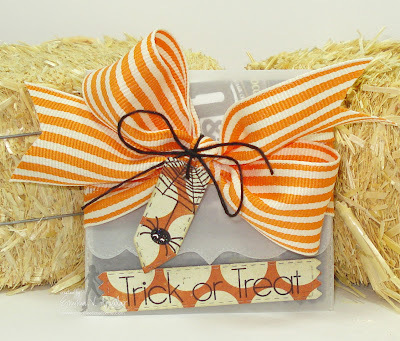 Then I added the tag die from the "Just Simply Live" set & stamped the "Trick or Treat" sentiment which is included w/this 3x3 trifold card die! 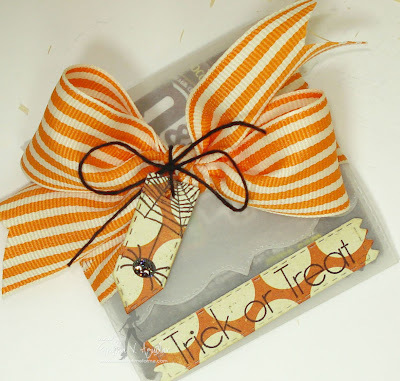 I also added my Teeny Tag from the "Teeny Tag Greetings" stamp set & stamped the spider & web which are both from our newest set "Treats for my Sweet"! Okay, next I made an EXTRA SPECIAL project! I cut out the envelope using Vellum, red ribbon & .05 hemp is from Liz's Paper Loft Boutique! 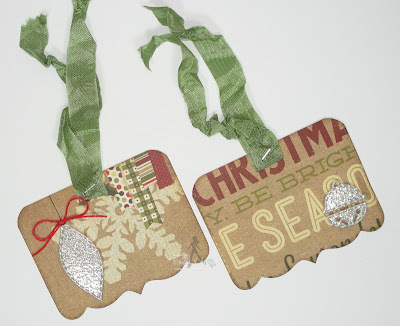 For my tag, I used one of the new ornament dies that come w/"Warm Holiday Fun"! Isn't is PERFECT for a mini tag?? This is the back of the envelope! I added a blingy brad from Hobby Lobby & the sentiment is another sentiment that is included in the set w/the 3x3 Trifold Card die! I cut out the little tag myself! As you can see, I made 4 simple & CUTE gift tags using a portion of the newest 3x3 Trifold Card die! On the back of each tag, I stamped TO & FROM using my Gift Card Sentiments! You can see them close up here! 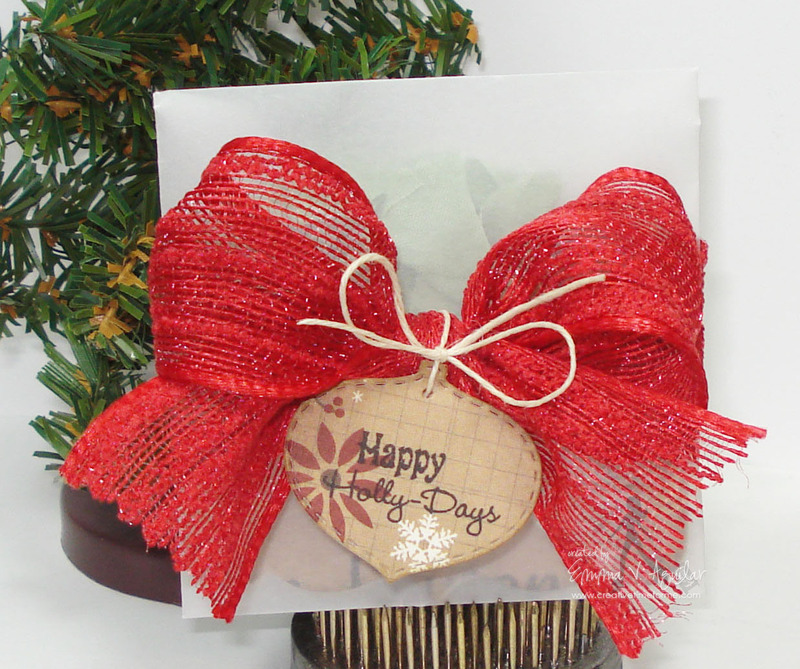 I just used my BRAND NEW Simple Stories "Handmade Holiday" 6x6 pattern paper & added all the ornaments that are included in the "Warm Holiday Fun" set! The silver shiny glittery paper were all from scraps I had! 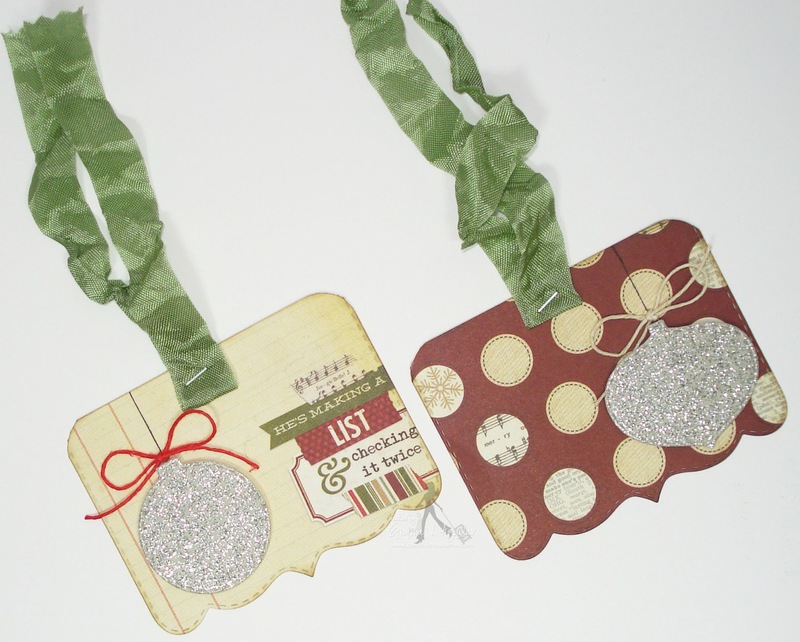 Here are the last 2, also, I used my Tim Holtz tiny attacher to attached my seam binding ribbon from Liz's Paper Loft Boutique! ALSO, this is the FUN PART... 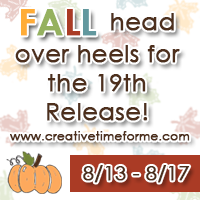 I wanted to do something FUN for this release & to celebrate my return to the bloggy world! Each day this week, we will feature stamp sets & you will have an opportunity to view each set in it's entirety right here on my blog! BUT, here is the tricky part, it is hidden somewhere on my blog & you have to find it! ;) Just use your mouse & hover over everything until it pops up~! I am SO HAPPY & I can't wait for you all to find them! Don't forget, today you will be able to find this set along w/the other stamp sets we showcased already this week! You should see a total of 9 items by now! Eek! I am so excited for this! Such beautiful cards! Such a fabulous idea! You are so amazingly talented and creative! I've been a follower for almost a year and you have never disappointed me with your products, and I doubt you ever will :) With that being said, THANK YOU!! THANK YOU!! This is sooooo perfect!!! I have to have this one as well!!! I guess I won't be eating for a few days!!! LOL I love them all Emma, I think this is by far my favorite RELEASE! Amazing Amazing Amazing!!!!! Today's release has to be my favorite. Great job on all of your new stamps. Love your samples. The new dies are sure to be big hits. Miss emma you have outdone yourself once again! Absolutely in LOVE with this entire release! You and your DT have created some amazing projects! Fabulous! Great projects everything is beautiful or fun or playful great job!! A big thank you for bringing in some of your past items it does help to see it all come together and I appreciate your thoughtfulness to go there because it get the excitement of it all going again and it's very apparent how much you cherish your customers and Emma it truly means so much!! Your sweetness abounds again and again. OMG Emma!!! These are awesome! So super excited about this whole new release! I can purchase it when??? Now?? LOL!! Your projects are incredible and what an awesome idea for these dies! The possibilities are endless....I can already see doing treats for my kids lunches and little notes for the hubby! LOVE this! What an awesome week of sneaks and your DT totally went above and beyond with all their incredible projects! Thanks so much for all these awesome ideas and have a GREAT day!!! Emma this release is great! 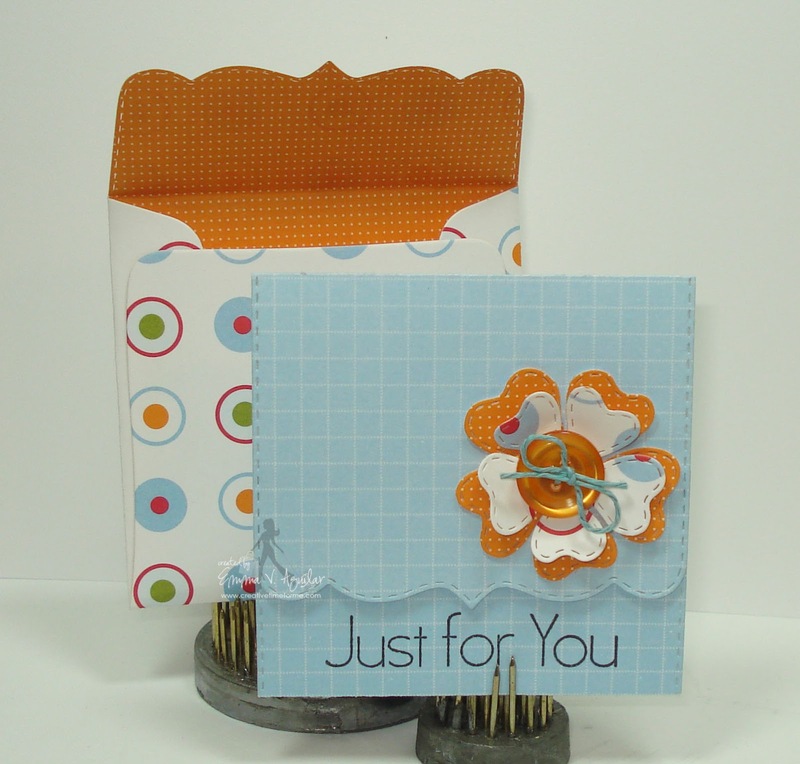 Question....Does your gift card holder die coordinate with the envelope die as well? 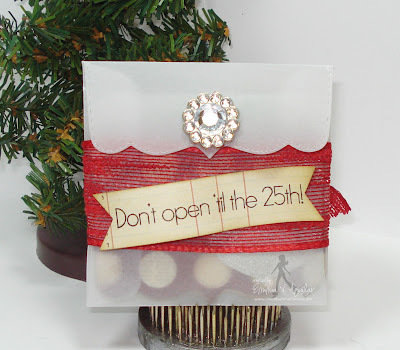 Fantastic projects, I'm loving this envelope die!! Wow! What an exciting sneak peek! I know I will be one of the first 75 customers for sure! You did a splendid job with this release and like always your DT ROCKS! What a great release!! I can't wait to order!! Wow Ms. Emma! You totally out did yourself with these projects! Made them look super easy and such a fun way for a gift card or favor! Absolutely love them! Off to visit the design team! Now, I'm going to be ordering these two dies. So versitile. Great projects too! OH Miss Emma, these die are to die for!! I love all the ideas in using them and I love what the DT has did with them as well. I am so drooling over this release, I just adore everything!!! Oh my gosh Miss Emma this is by far the best release it has so much potential!!!!! I love all your projects today great job girl!!!! Can't wait to get my hands on this release!!! ----> am gritting my teeth about how much its gonna cost my HUSBAND hehe!!! wonderful release and fabulous projects today! OH Goodness Emma!!! what fabulous Dies!!! I love dies!!! Love it all!!! Hi Emma thanks for the awesome sneak peeks, I can't wait till tomorrow!!! Wow!! Gorgeous cards!! Found the hidden stamps. Great cards-I think this is my favorite collection! Wow, wow, wow, these are fantastic! Great job Emma. Beautiful projects! This set is just icing on the cake. I seriously cannot wait to order tomorrow. A great finale to the sneaks peaks. Love this entire release and what a versatile die. Miss Emma ~ Like?? How about about LOVE this release! WOW! Your projects are simply AMAZING and BEAUTIFUL! I just LOVE every single one of them! The details and little touches of love ( I like to call it that now) I ADORE!!! 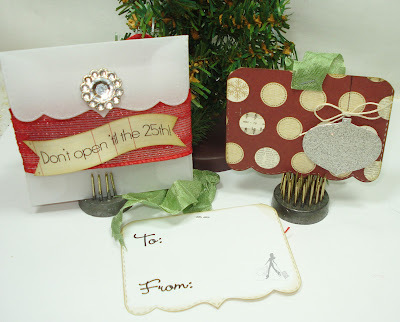 This card and envelope die is seriously INCREDIBLE! It is such a quick and simple way to create something for someone special!!! There are so many ways to use it! You certainly have showcased it today!!! The DT's just ROCKED it too! You have noe idea how much I LOVE this release! Wow!!! All the sets are great but I think these sets are my favorite. There are so many possibilities! I can't wait til tomorrow to get my order in. Thanks Emma! Oh my gosh, I want this die yesterday.......When can I order it? Emma this release is Awesome!!!! Oh my gosh the things you can make with it! I love it and love what you did. Great job! Oh my, you have really outdone yourself with this release. Every day was amazing. And somehow each day was better than the day before. Not sure how you do it, but you know exactly what we need. Thank you so much. I can't wait to place my order on Friday. Oh man! This release is awesome. I really like all the possibilities with these new stamp/die sets. This release is....WOW!!! I don't know what to get first! Stamps, Dies oh my...! Love your creations for today!! And love the colors you used! I need to order a few of the releases right away!! I wish for the entire collection. Way to get the creative juices flowing. I spyed your sneak peeks and am in love! Love all your projects Emma! They're fabulous! Wow--there's almost too much to absorb in one sitting here!! Love all of these sets! May need a second job. Super cool new dies!! I love that they are so versatile!! Amazing new release!! Love all your projects! This release is Amazing!! I can't wait to place my order! Wow, Emma! This really is an awesome release! So many great stamp sets and dies -- wish I was made out of money so I could get them all. Your projects are wonderful, too. These dies are amazing. I love all the projects. Love the dies. This sure was a whirlwind week with all these fabulous projects. I love all the creations you have posted this week!! Great job!! Super die. Love this whole release. 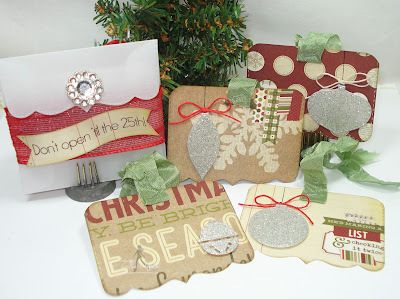 Cant wait until tomorrow for the Blog Hop. Can I say OMG!!!!! You sure do know how to make a girl want it all!!! I can't wait until 12:01 to purchase I'm going to have to set the alarm. You have amazing products and I'm glad you are back. Thank you for sharing your amazing talent with us. Love your products! I shared on my Fb page! Thank you! Oooooo !!! Okay this is a need!! not a Want but a Need!!! I love making 3x3 cards!!! This is so perfect emma!!! Awesome dies! And I absolutely love how you used that card as a treat holder. Love it all! Wow, such an awesome release once again! This is one of my favorite releases and the projects have been so amazing! I absolutely adore your card treat holder, how fun is that! Emma your August release is simply amazing! Love each stamp set and the dies are freakin' fantastic. Thank you for your hard work - so my crafting and creating is a little easier. Hi Emma!Love this New Release and the FABULOUS!! !Can't wait fot tomorrow! Such adorable envelopes. I really love that cut. I like that yu even used vellum. So many super duper cute stuff all week! I can't make up my mind which ones I can get. You are so creative with the stamp sets! Love the ladies projects! 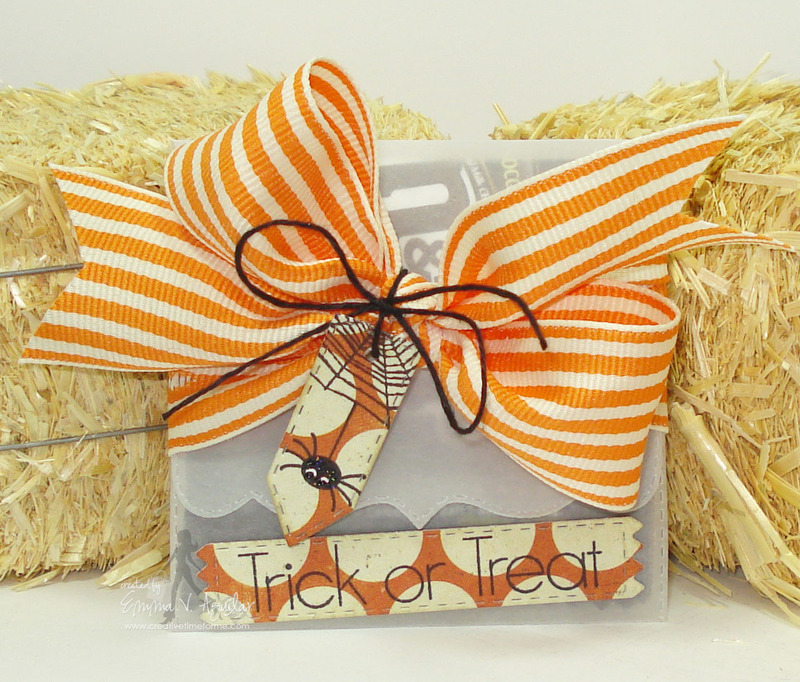 What great cards, tags, envelopes and treat holders! Fantastic job Emma and you Design Team was awesome again with so many wonderful projects and ideas. Now to explain why I need them all...can't wait to get the new release! Holy Moly, what fabulous projects you've highlighted today. I'm so impressed with all the new sets. Lovin' this entire release, but most of all your enthusiasm, it's contagious! It's so apparent that you love what you do, Emma. I'm not always able to buy something from every release, but I enjoy your videos and the designs you and your DT come up with. I have some sets picked out from the release that I'll buy as soon as the shop is open for business tonight. Behind the hidden release button is the new envelope die set! Behind Grab my badge has Card sentiments! Wow Emma you outdid yourself this release!!! I love all of your cards and envelopes. What a great way to share yummy M&M treats, too. Glad Aaron is feeling better. Emma this is my favorite release. This dies are awesome. I know what can I do with this. I see this and in my mind got some ideas with this dies, yes. All projects are fantastic. Thanks for share with us! I can wait. Tomorrow is my birthday and this is my gift, to me from me, haha. Super Cute Projects, Emma! Wow!!!!! There are all so pretty...I love them. What can you use to cut the dies? Can't wait to see the entire release! I love these dies! OMG! I love EVERYTHING in this release and your projects are so BEAUTIFUL! I'm so inspired and can't wait to start creating with your AWESOME collection. Thank you for creating products that we can incorporate with your earlier releases...I really appreciate it! Liking the dies too. Can't wait for the sale tomorrow. So much to choose from. All I can say is WOW! The dies and the projects everyone made are totally awesome. You make it all look so gorgeous! WOW! What a release. I can't wait to get something, but with so many choices what will I get? Oh Emma, this has been awesome. Wahooo! What a great release week! I hate Thursday though because I feel so sad that it's almost over. Great job Miss Emma! Every time I think you've done the best...you then amaze me even more! Love everything this week :) Hugs! Emma, this dies are phenomenal! I love every project and all the sets showcased this week! TFS and for all you do! You all are so very talented and creative. I appreciate all of you sharing your ideas and it helps to inspire me. These products are lovely and look like so much fun. Such great releases and projects, Emma! You and your DT have done an awesome job! OMG!! !what an awesome release!! !kudo's to the DT, great ob to all!!! and all the projects are wonderful. I love this release!!!! You did an amazing job!!! Can't wait to get my hands on these dies!!! You and the DT did an awesome job! This release is really, really cute! I esp. love the dies! I llove it when dies and stamps go together! I'm loving the new release so far....can't wait to see more. Miss Emma, congratulations on such a marvellous release! I can't wait to be able to play with the stamps and dies I plan to purchase! Absolutely inspirational, and I'm so pleased your back! Much love, Deb. Thank you so much for sharing so many wonderful projects!!!!!!!!! These are ALL wonderful projects! I love each and every set. In lieu of a "White Christmas", I'm dreaming of these instead! Great release. I bought the entire set. Can't wait to start creating.